For Centuries Russians Kept Their Milk Fresh By Dropping What Into It? Modern science has shown that more than a few folk remedies and practices have actual scientific merit and an observable mechanism at play, but one thing modern science can’t tell us is what exactly motivated people to begin the practice in the first place. A curious example of this is the old Russian practice of dropping a live Russian Brown Frog in a container of milk to keep the milk from spoiling. Science can now tell us the reason the trick works is because the frog releases a slimy secretion from its skin that happens to have fantastic anti-bacterial and anti-fungal properties which kill off bacteria in the milk. Microscopic analysis of the process aside, however, that certainly doesn’t tell us exactly how Russian peasants stumbled upon the method of using frogs as milk preservatives. 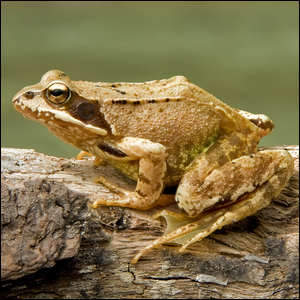 Fortunately, however, knowledge of the practice lived on in Russian folklore because the team of researchers who uncovered the link between the frogs and the unspoilt milk have discovered 76 unique peptides in the milky secretions from the frog’s skin that have potential for pharmaceutical use.